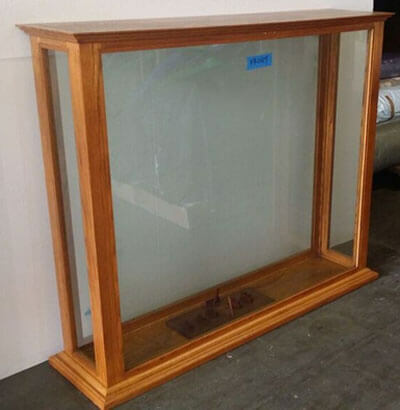 Enclosures International has been packing, moving, and storing antiques for antique dealers and collectors at cost-competitive prices since 1977. In handling antiques, we extend an extra level of care and attention due to their priceless nature, sentimental value and generally delicate state. With 40 years of experience working with valuables of every size, shape and weight, we know how to take every precaution in handling even the most fragile of objects. We have moved a wide variety of antiques, including furniture, clocks, pottery, and paintings, and apply our years of training and experience to ensure that each item will be safely transported. 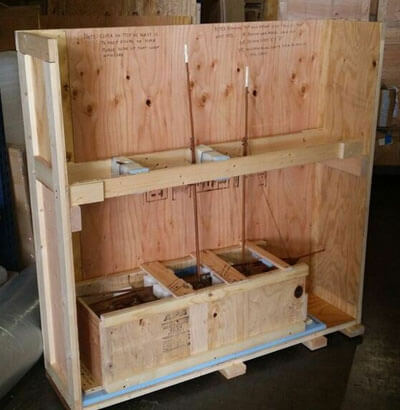 We carefully check every object for loose or delicate pieces or areas, and can engineer custom boxes or crates to protect your antiques during transit. We also have a secure, concrete warehouse for the short- or long-term storage of your antiques. 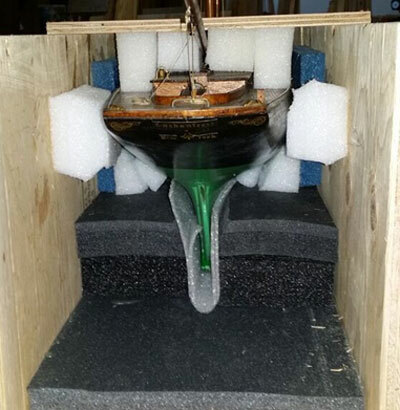 Enclosures International made a custom double crate shipping container to safely transport this antique model ship from San Francisco, CA to Old Greenwich, CT. We picked up the model ship from an antique shop and brought it to our San Francisco warehouse where we custom designed and built the crates. 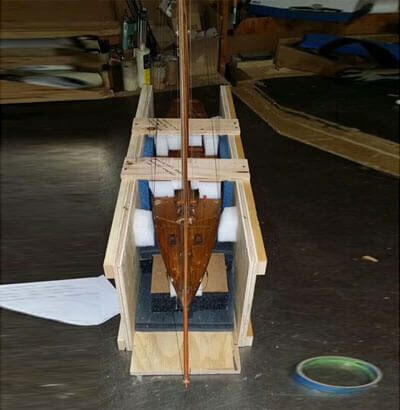 Two crates were built for the model ship and a third one for the glass display case. 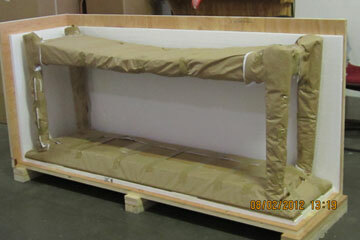 We secured the ship in a smaller crate, wrapped loose components on the model that might move during shipping, then packed it into a larger crate using foam for protection. 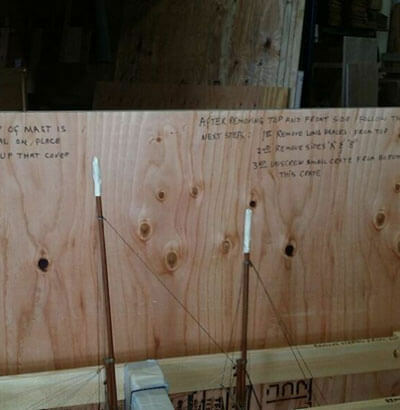 Lastly, we wrapped the top of the ship's masts for protection and included special instructions on the inside of the crate before coordinating shipping arrangements with a local carrier. You did a wonderful job of packing my china display cabinet. I went to San Francisco in April to visit my sister. While visiting she took me furniture shopping. I Found this cabinet at a time when I could not even think of owning something as fine as this but I told them if the price ever when down to give me a call here in Washington State . . .